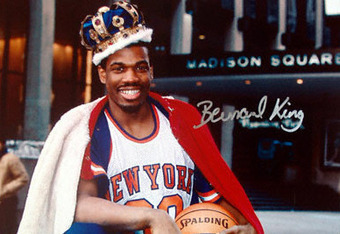 Bernard King is one of the purest scorers in NBA history and he finally gets enshrined in the basketball hall of fame. The 4-time all-star was recently featured in an NBA TV Documentary titled “Unstoppable” which premiered tonight on NBA TV. The film featured many NBA greats such as Magic Johnson and George Gervin speaking about the greatness of Bernard King. “I couldn't play with a smile on my face like Magic, I had to play with an intensity or I wouldn't win” stated King. The Knicks legend carried himself a certain way and always played with a high level of confidence. Nobody could stop him from scoring “if you play off me I have the jump shot, force me left I have moves going left, force me right I have moves going right, If you overplay me I know how to get open”. He commands respect and displays unshakable confidence which is why he can go out and have back to back 50 point nights as George Gervin stated in the video. King in many ways embodies the culture of New York basketball, that “ you can't stop me even if you tried mentality” if you will. Magic said it best “ We knew where he was going to that spot, the 18,000 fans in the arena knew he was going to that spot but you just couldn't do anything with this man”. 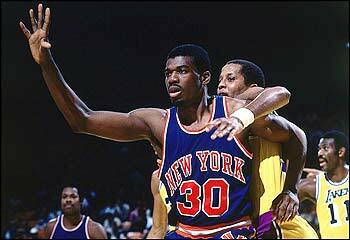 It way to long but congratulations to Bernard King on his 2013 hall of fame induction!